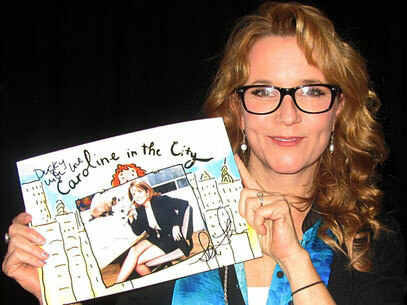 CAROLINE IN THE CITY - duckys-autograph-worlds Webseite! Meeting the lovely Lea Thompson in person was something very special for me. It really was a dream coming true. Lea is a very kind an lovely person and really interested in her fans. We chatted a bit, although I was really nervous and excited. I fetched three more autographs from Lea and she wrote an individual dedication on everyone of it.